We have David who is keen on starting an online education portal. He has a list of courses in web designing and decides to use WordPress as his content management system. Once, the course is enrolled by the customer, he plans to send him/her a hard-copy of the respective reference book. As a first step, he creates a virtual product with the course name. To ship the book (using Stamps) with every order, he has to manually create a label and then proceed with the shipping. This seems painful and cumbersome and somewhat tricky for him to overcome. Smart Approach to his Rescue! Step 1: The online course is marked as a virtual product. Step 2: The book is marked as a simple product. Step 3: Using the ELEX Dynamic Pricing Plugin, create a rule under “Buy and Get Free Offer (BOGO) Rules” as shown in the screenshot below. This helps David to automate shipping of the book when the online course is selected. 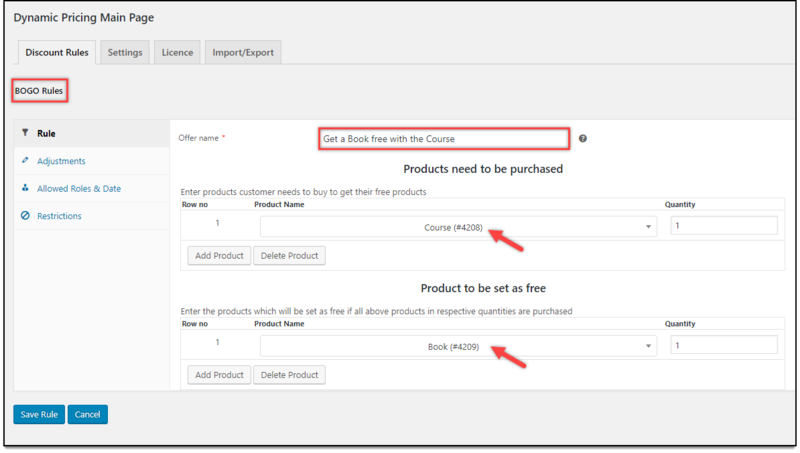 So if a customer selects the product “Course” in the cart, then automatically, one quantity of the product “Book” will be added to the cart. So now, the customer can easily checkout with these two products in the cart. Step 4: Once, the order is confirmed, David can conveniently generate a label for the product “Book” using the ELEX WooCommerce DHL Plugin. Note: The virtual product is automatically skipped by the DHL plugin during label generation. Now, you can easily handle a combination of these products in a seamless fashion. To explore more details about the plugin, go check out ELEX WooCommerce DHL Express / eCommerce / Paket Shipping Plugin with Print Label and ELEX Dynamic Pricing and Discounts Plugin for WooCommerce.